The mining industry is very hazardous and there two reasons for being such: the numerous natural threats and the large mining machines. There are two types of mining: surface and underground mining, but both types provide difficult working conditions for the miners. Also, both types of mining include using large mining machines for completing the tasks efficiently. If you are not operating a mining equipment properly, not only your productivity will be very low, but you can put yourself in danger, as well as the rest of your crew. As the technology is advancing, the mining machines on the market today come with a lot of innovative and new technologies, both in terms of safety and efficiency. Business and workers risks minimized, efficiency of mining equipment maximized, the new mining machines allow the miners to complete any type of mining in a safe and efficient way. 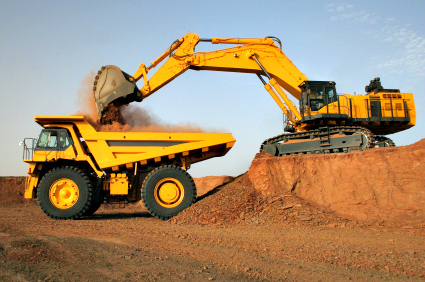 Assuming that you are in need of a mining equipment, we explore your best options in addition. Excavator – Excavator is a type of mining equipment with a huge role in both surface and underground mining. If you need to break, remove soil or other digging application, you need to consider an excavator. A machine that runs on either wheels or tracks and has a boom, a bucket, a stick and a comfy cabin for you. The cabin is positioned on a rotating platform to allow you a 360-view. The best thing about this mining equipment is that you can match with an array of attachments and use it for a lot of mining applications. But before making your final choice, keep in mind that there are many different types of excavators. Articulated Dump Truck – Articulated dump truck is a specialized type of truck used for transporting loose material in both types of mining. This mining equipment features an open box bed to load materials and using hydraulic pistons to lift the front part, the material is deposited on ground behind the truck. The articulated dump truck has a hinge between the operator’s cabin and the dump box, but the trailer is a permanent feature. If you need a vehicle to load and transport materials from a rough terrain, consider an articulated dump truck. Track Loader – Bulldozers, excavators, dump trucks, wheeled loaders, scrapers, mining shovels and drills, there are many different mining machines you should consider, but track loader is suitable to almost every mining task. The track loader, or multi-terrain loader, is the most versatile piece of mining equipment and is able to replace the work of a lot of mining machines on the roughest terrains. Since the track loader is suitable to any task, it is definitely a machine you want to consider.